The Harvard Crimson’s Fifteen Minutes magazine recently honored Program on Negotiation at Harvard Law School faculty member Daniel Shapiro as one of the 15 best professors at Harvard College. 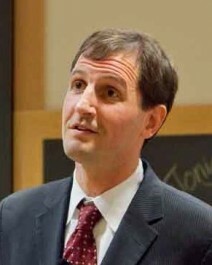 Director of the Harvard International Negotiation Program and Associate Professor in Psychology at Harvard Medical School, Professor Shapiro is the author of Negotiating the Nonnegotiable: How to Resolve Your Most Emotionally Charged Conflicts and coauthor with Roger Fisher of Beyond Reason: Using Emotions as You Negotiate. You can read the full article about Daniel Shapiro here on the Fifteen Minutes from the Harvard Crimson website by clicking here.